The last time the Columbus Clippers faced the Indianapolis Indians at Huntington Park, the International League Championship was on the line. Over 11,000 fans attended, thanks to General Manager Ken Schnacke’s decision to grant free admission for the final three home playoff dates. Columbus won those games and went on to win the decisive fifth game at Indianapolis, winning its 10th International League Championship. The opening series of 2016 had the same two teams set to play a four-game series beginning on Thursday, Mother Nature wasn’t quite ready. The season opener was pushed back three times and the series was reduced to two seven-inning games played as a part of a Sunday double-header. With the temperature in the 40’s and a stiff wind swirling at Huntington Park, Columbus and Indianapolis split the Sunday double-header. Columbus won the opener 1-0 and Indianapolis returned the favor in the nightcap, 4-0. 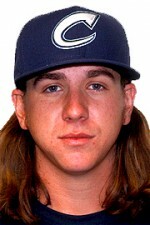 Mike Clevinger started game one for the Clippers. Indianapolis countered with one of the Pirate’s top pitching prospects, Tyler Glasnow. Clevinger got the win, pitching five innings and allowing three hits and one walk; he struck out six. Shawn Armstrong and Austin Adams closed out the shut out. Armstrong struck out the side in the sixth inning for the hold and Adams struck out a pair to earn the save. Glasnow lasted five innings for the Indians, he gave up one run on three hits and three walks with six strike outs. Glasnow’s only mistake was a 2-1 fastball over the plate that Jesus Aguilar sent over the left field wall in the bottom of the first inning. Neither team was able to mount any type of scoring opportunity the rest of the way, each team stranded four runners in the game. Game two also featured only one inning of scoring and a lot more pitching. The two teams combined to send 12 pitchers to the mound in the game. Each starter lasted one or fewer innings. Tommy Hunter, on a rehab assignment from Cleveland, was scheduled to pitch only one inning. Indianapolis starter Trevor Williams was pulled in the first inning after complaining of arm trouble. 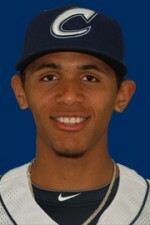 Kelvin Marte came in and pitched 1.2 innings for the win. The Indians used five relievers the rest of the way, each pitching one inning. The entire staff walked three and struck out three while holding the Clippers to five hits in the shutout. Toru Murata took the loss for Columbus. Murata pitched 1.2 innings, allowing four runs on three hits and two walks. He struck out one. Clippers pitching gave up six walks in the game; Nick Maronde walked four in 2.1 innings of work. Indianapolis took advantage of the walk in the bottom of the third inning. After retiring the first two hitters of the inning, Murata walked the next two. First baseman Josh Bell then singled to right field, allowing both runners to score. The ball was misplayed by right fielder Mike Choice, allowing Bell to advance to third. Designated Hitter Jason Moore the followed with a home run to left field which gave the Indianapolis its 4-0 lead and the eventual margin of victory. Columbus continues its home stand with a three-game series against Louisville. Indianapolis has a day off before a two-game set in Toledo.